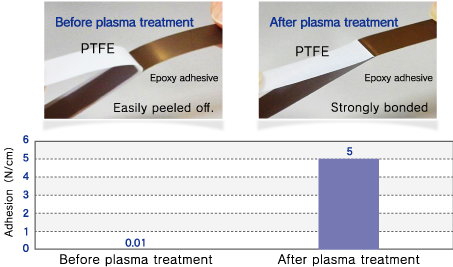 Plasma surface treatment｜Kawamura Sangyo Co.,Ltd. The surface of various substrates, such as film, metal foil and nonwoven fabric is reformed to give surface hydrophilicity or repellency. 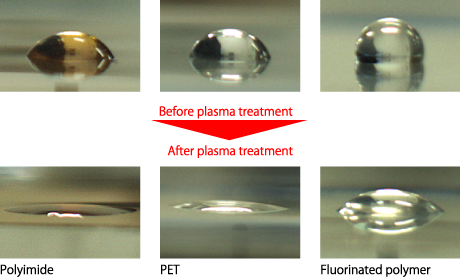 Adhesion of various plastic films will be improved dramatically by our plasma treatment. We propose the best plasma condition considering the film type and purposes. Organic contamination of substrate surface is removed to give clarified surface. Residue of rolling oil which is not removed by wet cleaning completely can be removed efficiently by plasma treatment. Various materials are bonded by special plasma treatment without adhesive. 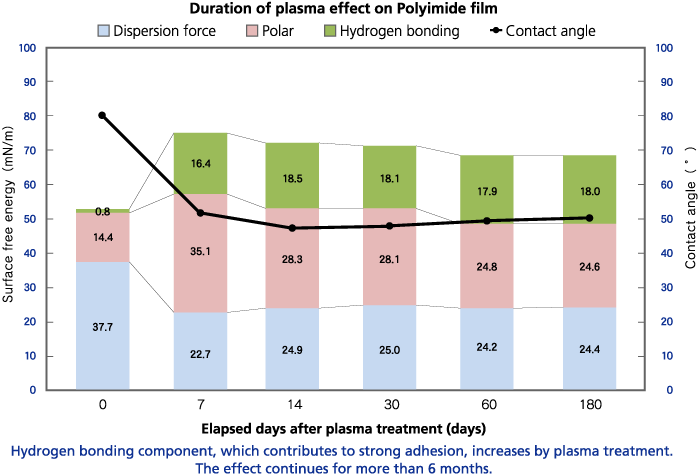 Adhesion of PTFE film, which is known as one the most difficult materials to adhere, can be improved. Confirmation of inquiry ・We confirm the content of inquiry and propose proper conditions to meet the request. Trial with laboratory scale equipment ・We are glad to offer free plasma treated samples for the first inquiry (up to 5 runs). ・We offer paid samples for addtional runs. ・Manufacturing plasma equipments are used for the samples larger than 100mm x 200mm. We will quote individually for the samples which will be treated with manufacturing equipments. Treatment for roll samples with manufacturing equipments ・We perform roll-to-roll plasma treatment with manufacturing equipments according to the conditions obtained from laboratory runs. ・We will quote for roll samples individually. We perform surface modification of plastic films, non-woven fabrics and metal foils as contract manufacturing. We are glad to search the best plasma condition which meet customer's request.